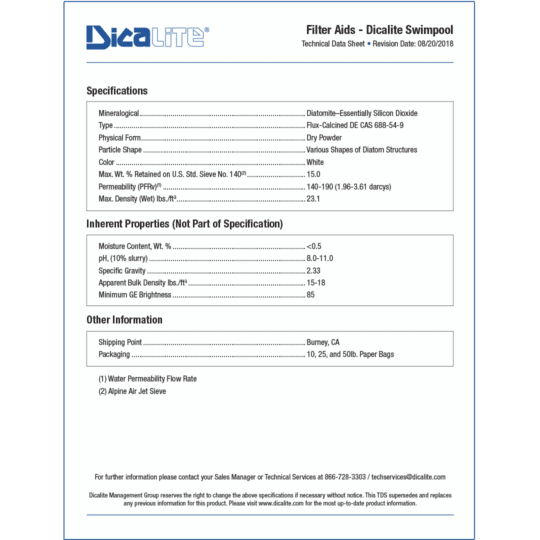 Mined and Processed in Burney, California, U.S.A.
Dicalite’s industry-leading Swimming Pool Filter Powder is classified as flux-calcined Diatomaceous Earth. Flux-calcined diatomaceous earth is used primarily for filtration applications because of its higher permeabilities. Diatomaceous earth swimming pool filters using Dicalite Swim Pool filter aid can remove particles up to 10 times smaller (3-5um) than what a typical sand filter will remove (25-40um). Our Swimming Pool Filter Powder is of the highest quality naturally occurring diatomaceous earth, filtering three to five microns. It removes dirt, silt, algae, and virtually all bacteria, while also helping keep chemical costs to a minimum. 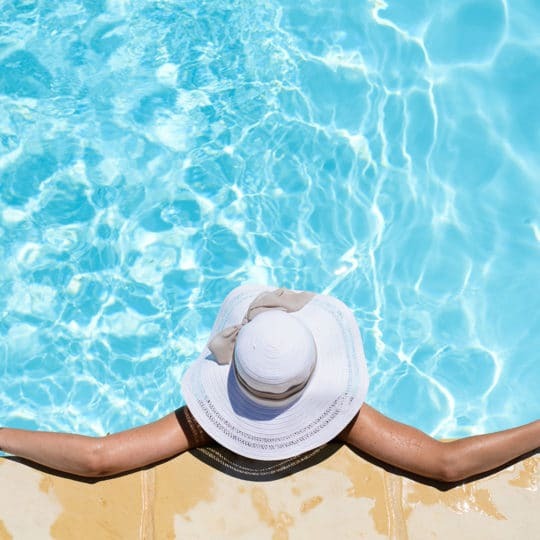 The fast flow rates and sharp filtration of our diatomite filter powder maintain greater clarity with easier operation and longer cycle-times, helping to keep your pool water healthfully clean, pure, and fresh. 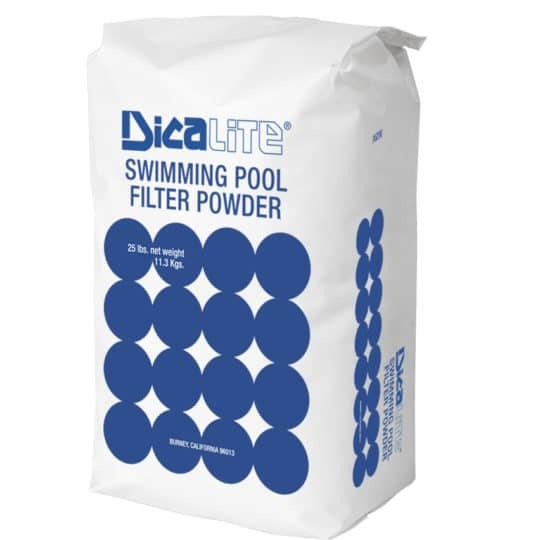 Dicalite’s DicaPOOL Perlite Filter Powder is a direct replacement for other diatomaceous earth swimming pool filter powders. As a safe alternative for all Diatomaceous Earth filters, Perlite filter aids can weigh as much as 50% less than the other types of filter media. So 1/2 lb. of Perlite is equal to 1lb. of Diatomaceous Earth, saving pool owners money by using less filter media. 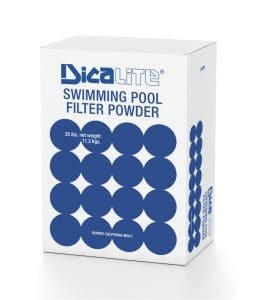 As the old adage goes, “Dicalite swimming pool filter powder keeps pool water drinking pure: actually cleaner than city water!” Our naturally occurring diatomaceous earth has served the swimming pool communities for over half a century and continues to do so today. Our diatomaceous earth is manufactured exclusively at our Burney, California location. In continuous operation since 1985, this location exhibits one of the highest quality commercial diatomite deposits in the world. Diatomaceous Earth filter media is the most efficient type of filter media available to pool owners. It can trap particles down to 3-5 microns; (well below the naked eye can see which is around 35 microns) removing particles 10 times smaller than what a typical sand filter will remove! For decades Dicalite’s DE swimming pool filter powder has removed dirt, silt, algae, and virtually all bacteria. There’s a reason why filter manufacturers and pool installers recommend Dicalite’s blue and white polka-dot bags. Find out for yourself. Looking for product specifications and inherent properties? Look no further and download Dicalite’s DE swimming pool filter powder technical data sheet. There are a few options for pool filter media. 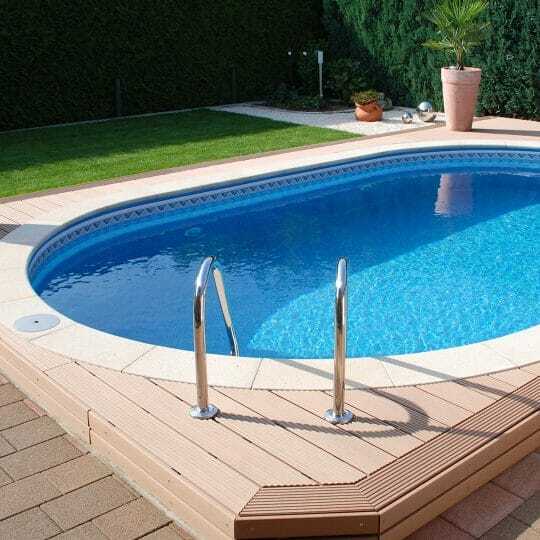 Do you know which is best for your pool? Learn about the different methods to help you made a decision.